I just finished wrapping up a gazillion presents (or so it seems) and I am coming up for air. Between my usual holiday procrastination of buying presents until 7 days til Christmas AND creating for CHA (it's soooo early this year!) I've been pretty busy. I feel badly that I've not really been here to update my blog or to travel the interwebs to visit you back. I'll be making that up soon. 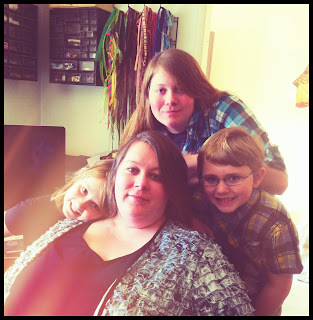 I wanted to pop in here real quick while the house is quiet (Doug took the kids to subway for an early dinner) and update the blog. 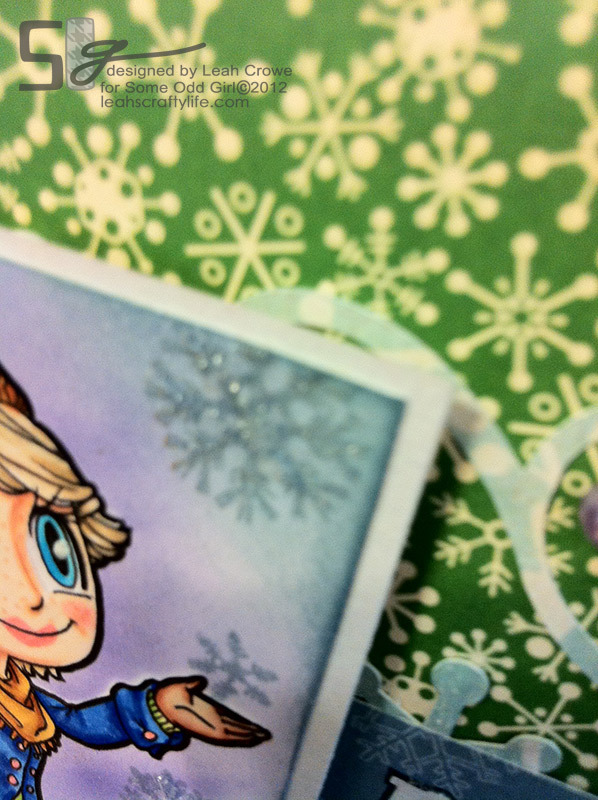 I stamped snowflakes all on the front panels, then added Viva Decor Pearls randomly. I then alcohol inked some jingle bells and added them as decorations to the tree. It's so festive! 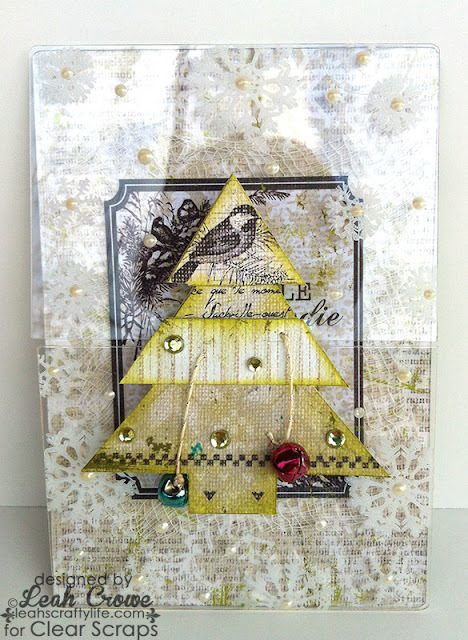 It works so nicely with the Clear Scraps too! 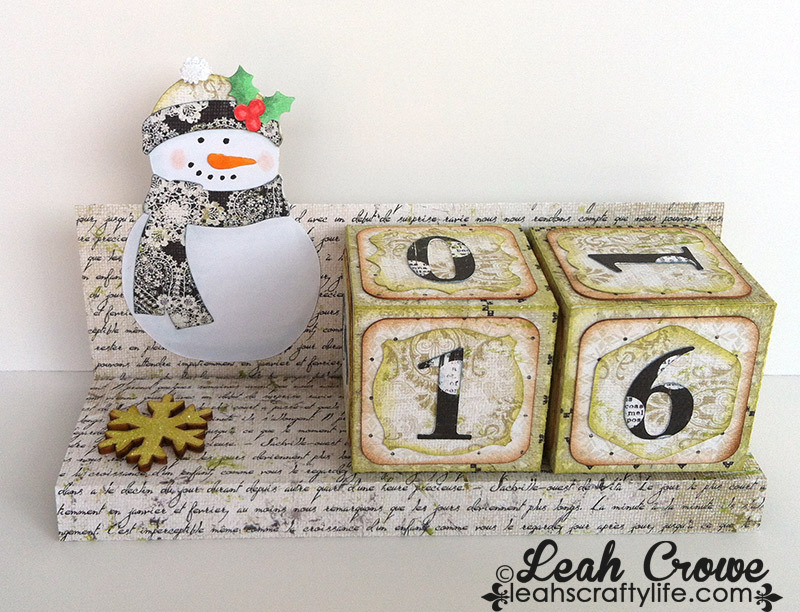 as a bonus project, I created this Countdown block with a cut file in the Silhouette store using the Peaceful collection! 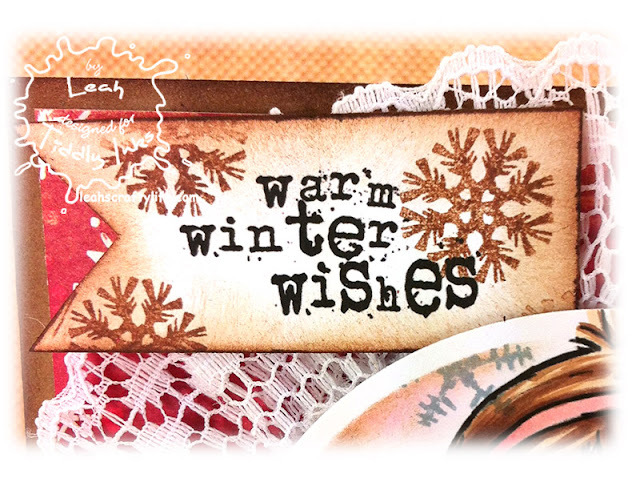 Wishing you warm and happy Holiday Joy! How are your Christmas plans coming along? Enjoying time with family? I hope so. 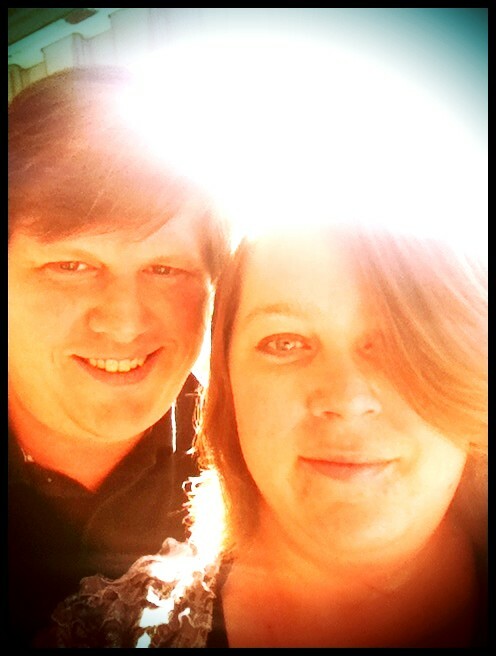 My hubs has been on vacation for a few days now and it's so nice not having him pack up and go to work every day! 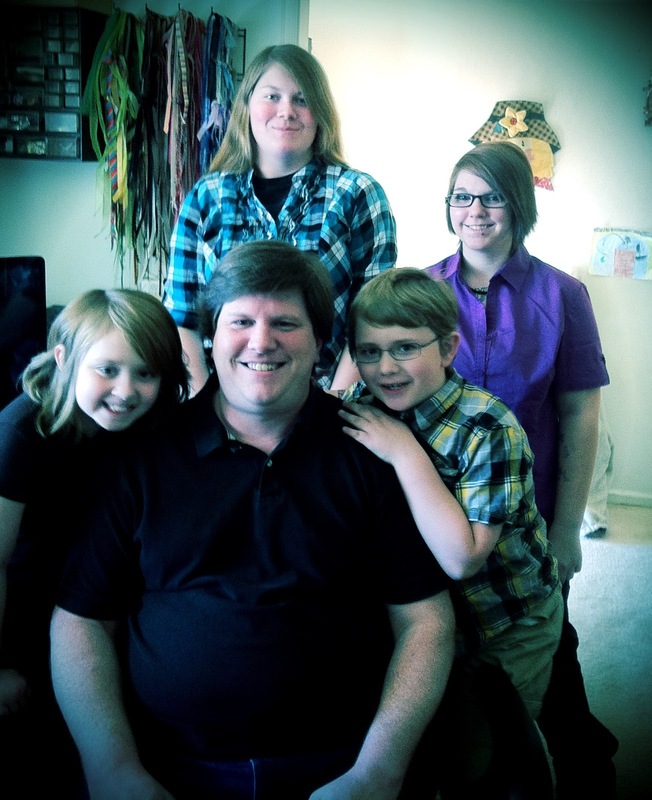 I love time spent with family. The only thing on our minds right now is start/finishing up our Christmas shopping. This is so me at the last minute.. not checking a naughty/nice list though, just making sure all my ducks are in a row! :) Tomorrow I'm hoping we are able to go with extended family to this light show 2 hours away, it opens at six pm and takes over an hour to drive through and see everything. The kids would love it, heck, so would I! Today, Some Odd Girl has another new release called Tobie Loves! 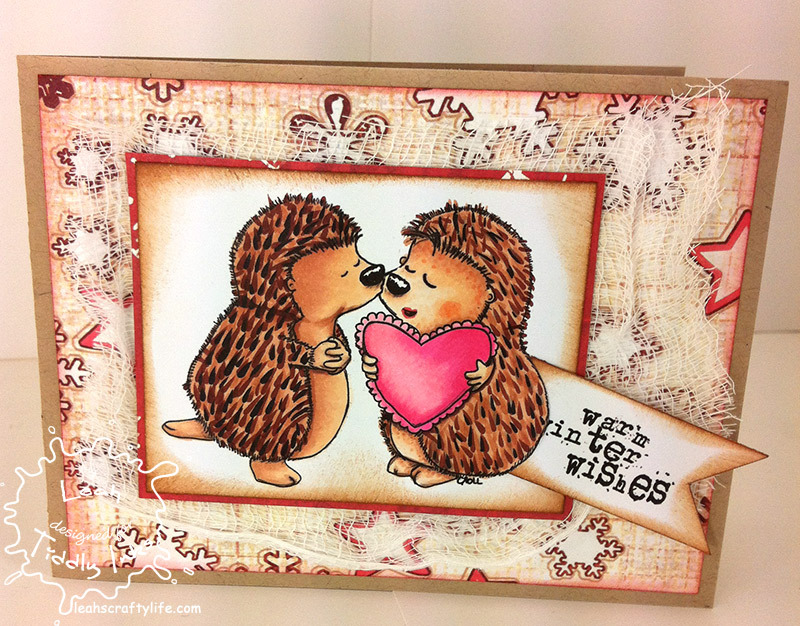 Think Valentines, sweet nothings, romance.. 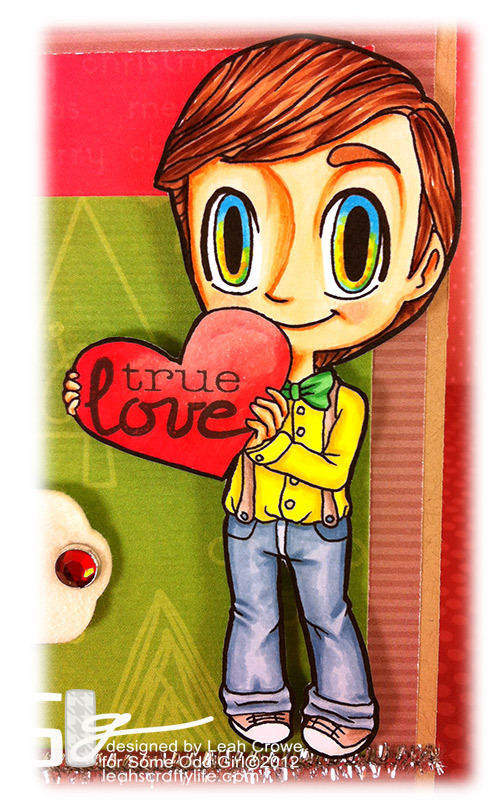 Except I wanted it to be a Christmassy kind of love card, so that's just what I did. Check out Tobie's bow and suspenders.. soooo cute!! 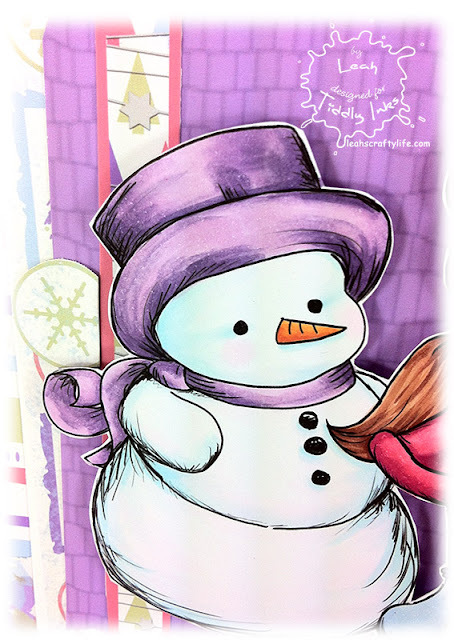 Today I'm sharing a card based off Tiddly Inks new fortnight challenge, Make it Like Pops! You'll have to pop in to the challenge blog so you can see the challenge details. 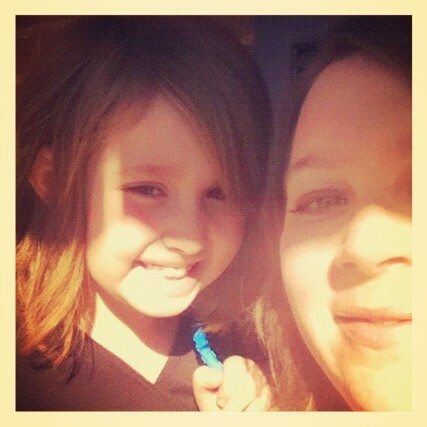 Isn't Faythe just adorbs?? 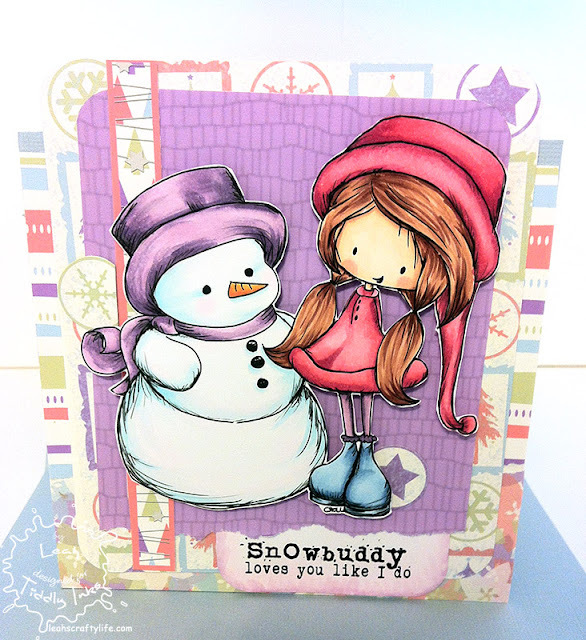 I love this new beautiful character from Tiddly Inks! I chose to create an easel card like Pops did. I let my Cameo Silhouette do all the work by cutting out the cardstock, snowflakes, and pattern paper. I used papers from Recollections, trim from my stash, Prima pearls, and DCWV stickers. 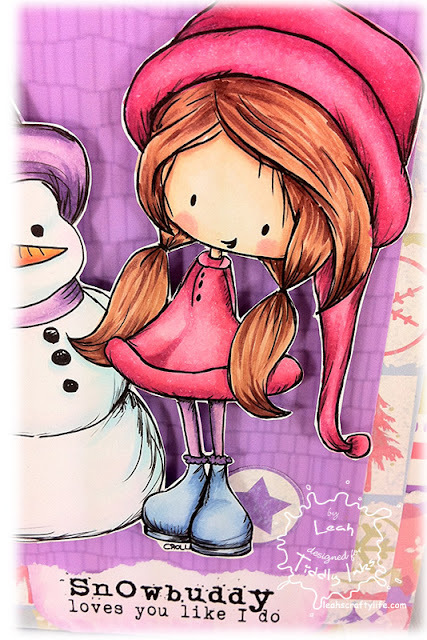 That's it for this post, go join the Tiddly Inks challenge and join me back here at 9am for another new release from Some Odd Girl! Was your weekend a good one? I'm so excited to show you two out of four brand new digital releases from Some Odd Girl for December!! I absolutely LOVE this one, it's my favorite from ALL the releases this week. When I saw it, my heart dropped to my knees because of how sweet and comforting it looks. Tell me this doesn't make you go, awww! 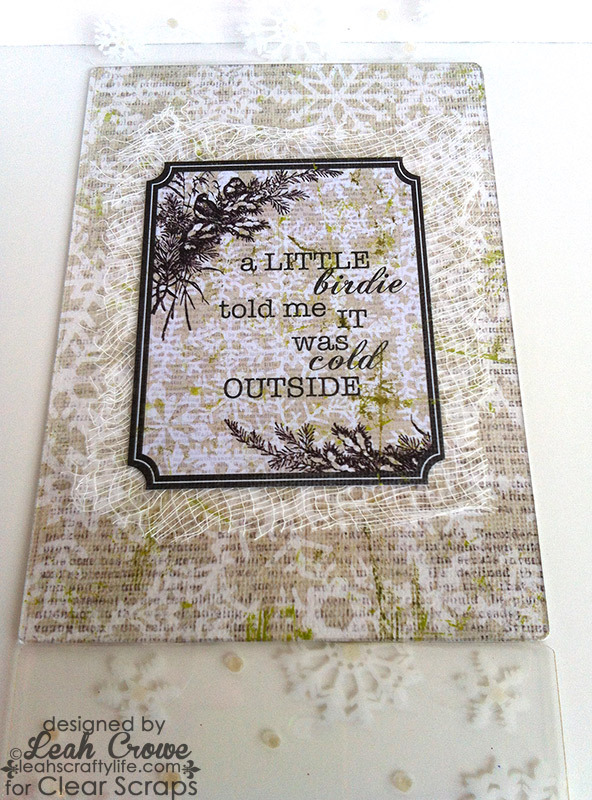 I used Recollections pattern paper and SEI diecuts! Katie from Both Sides of the Paper created a scor pal tutorial on how to make this card. Go check out the other DT gals work and I BET you could earn a chance to win this dynamic duo while you are oogling the cuties! Meet back here tomorrow for TWO fabulous posts!! Good morning friends and Happy Friday to you!! Aren't these two so sweet? I know they are perfect for Valentines day, but I couldn't help coloring them up for a lovely wintery card for Christmas. 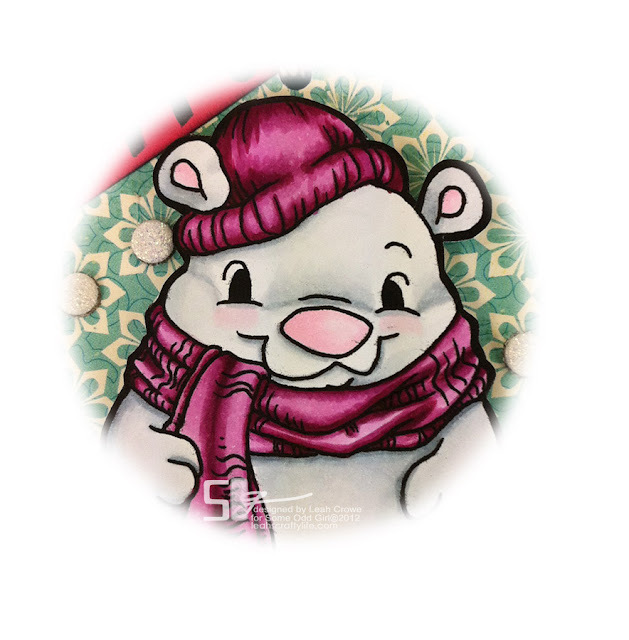 I found this old Sassafras Lass paper after I had these cuties all colored up and thought, perfect! They colors matched brilliantly! 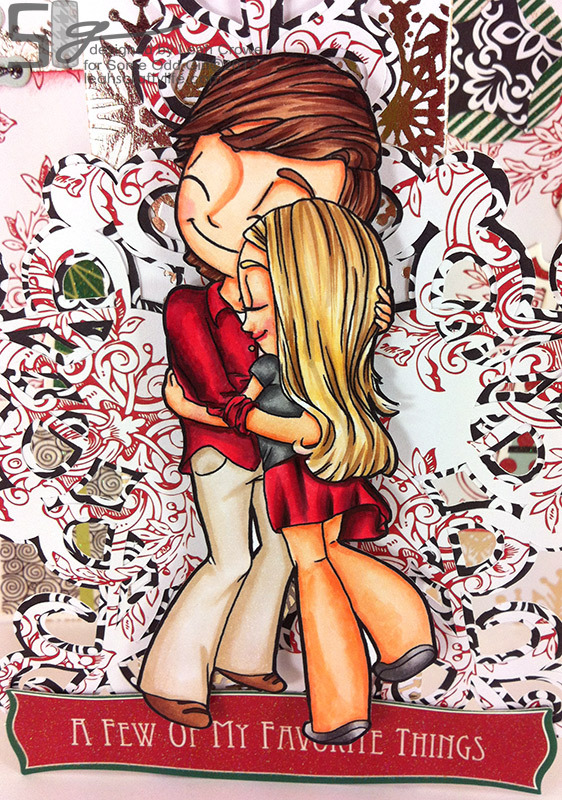 I colored the Tiddly Inks image With all My Heart using my copics. 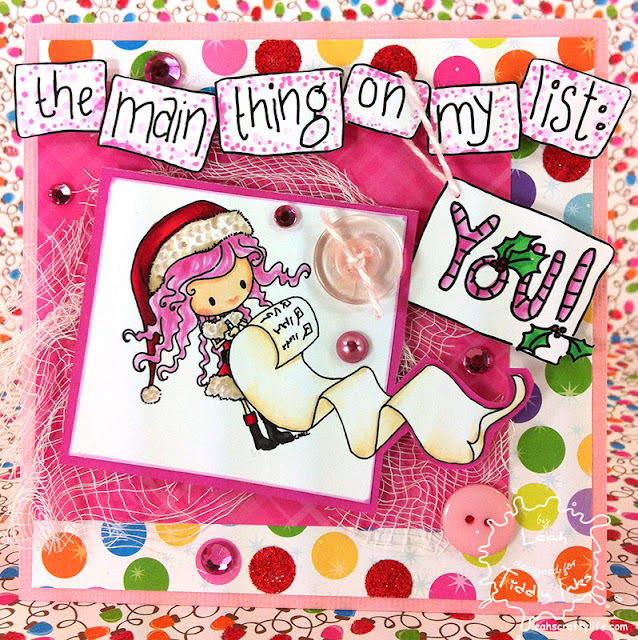 you can find more fabulous friday inspiration with the gals over on the Tiddly Inks Challenge Blog!! Who would you color and give this to? SOG's 3rd Annual Hol-ODD-Day Hop!! Some Odd Girl is having their 3rd Annual Hol-ODD-day hop December 3-6! 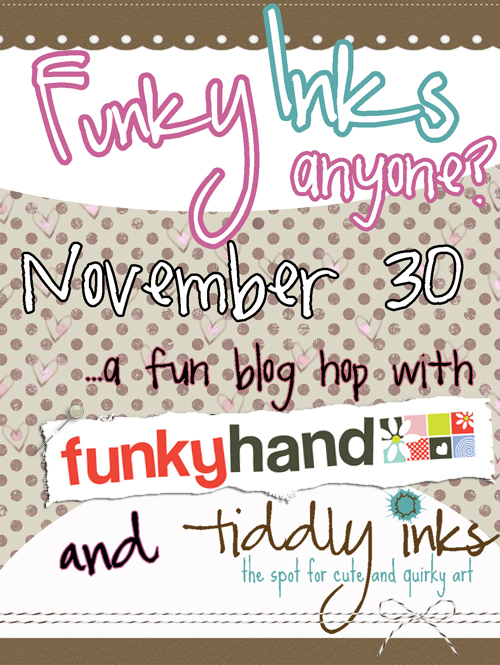 Its one big Linky Party and you’re invited! 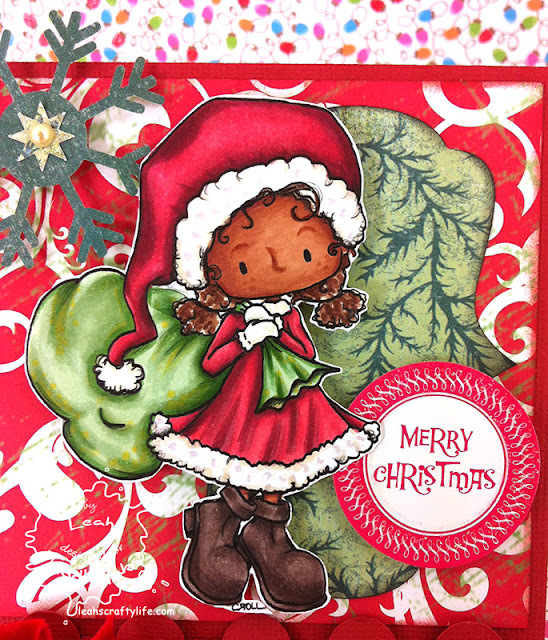 All you have to do to hop with us is to create a post using a new or old holiday themed project using a Some Odd Girl digi or stamp and invite your friends to come hop by linking back to the hop in your post then just LINK UP! Hoppers will be featured a few times a day on the Some Odd Girl Blog and linked up Hoppers will be entered to win some great prizes! Link up early for your best chance to be featured AND win! 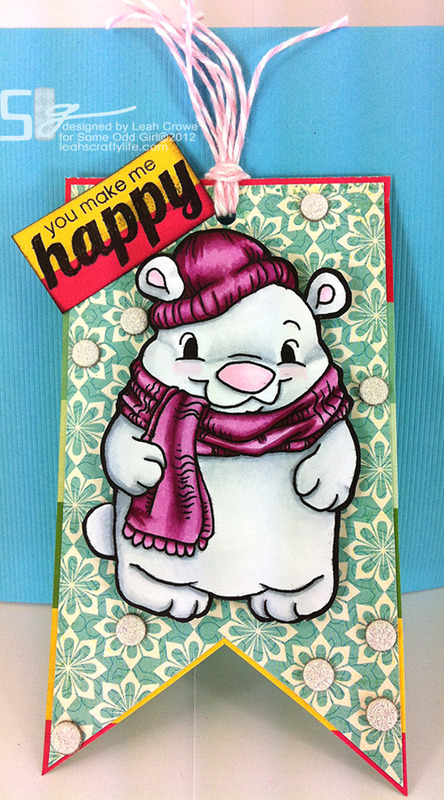 Here's my tag I created using Winter Bear digi stamp, and sentiments from Everyday Smiles! a non traditional colored tag.. it is so me!!! 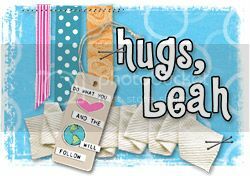 Hop on over and LINK up friends!! Let's make this the biggest baddest linky hop yet!! Can you believe it's December 1st already? With the start of the new month, you know it's the start of a new monthly challenge at Some Odd Girl! Here's the amazing sketch to inspire you! Here's a peek I gave to my instagram followers yesterday. And here's how I created it. I printed two Snowfall Kaylee's out, and used one as a mask by cutting her out. 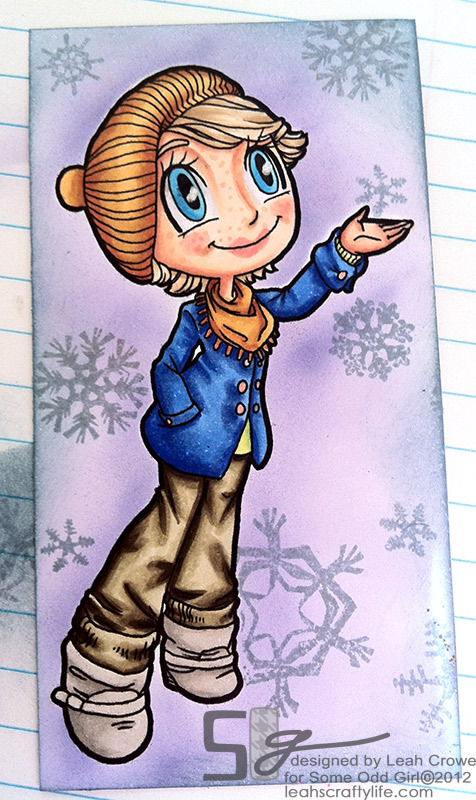 I then placed the mask over top the Kaylee I colored, and airbrushed the background with BV000 & BV01. I then applied the snowflakes from Winter Warmth from Kaylee's Closet and Warm Wishes Tia onto a stamp block, and stamped all around the background. Come on over and join in the challenge!! 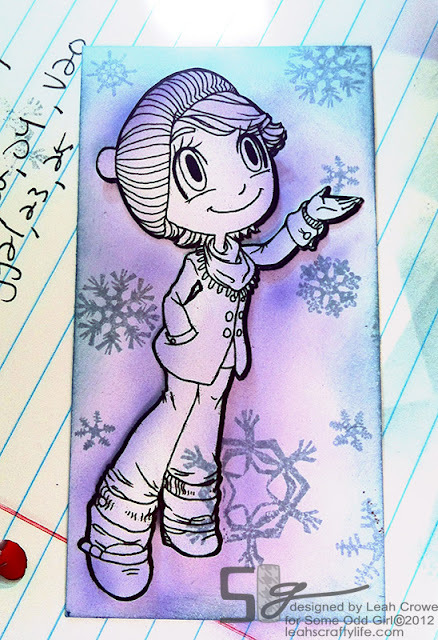 Your only requirements are to use a Some Odd Girl image and follow the sketch! Easy peasy. 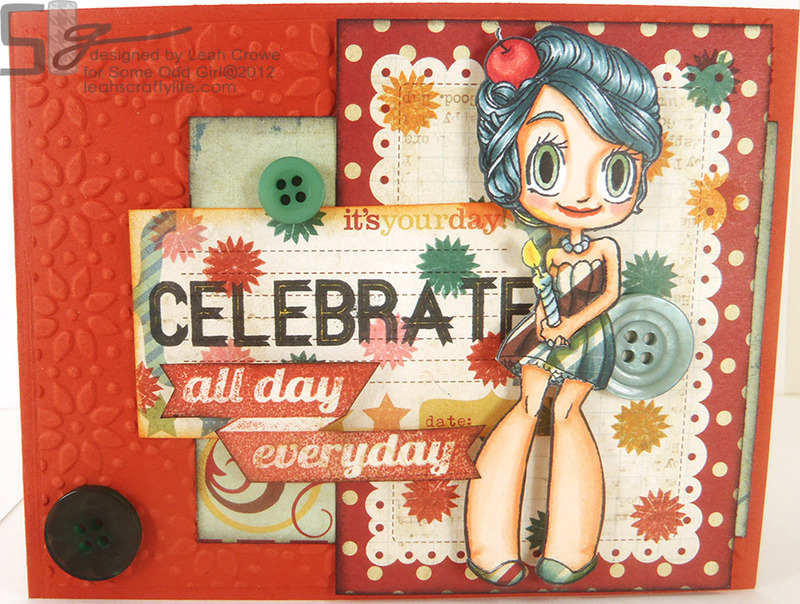 :) Check out what the super talented DT came up with, and have a most fabulous day! 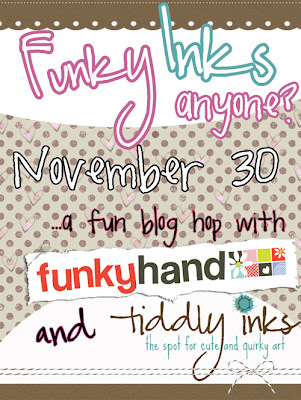 Thank you so much for joining in the Funky Hand and Tiddly Inks Funky Inks blog hop! 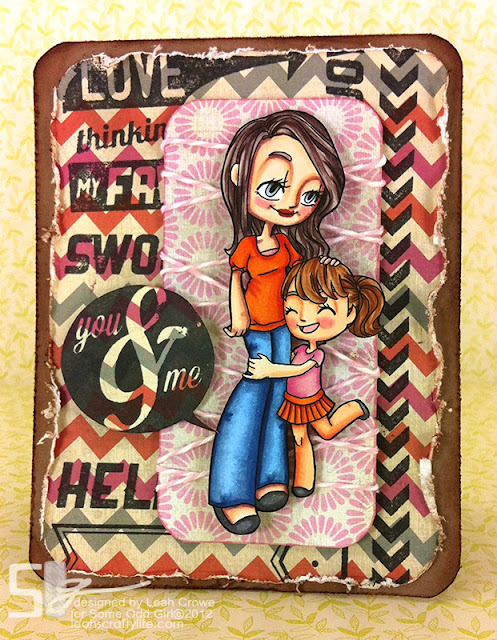 We have a ton of inspiration using Anice's lovely papers and Christy's digis and we hope you leave wanting to create something spectacular. The list of all the blogs can be found HERE if you are just joining us. Just open a new window for each link (click CNTRL and the link to do this) and you can keep the main list up and navigate easily through the links. 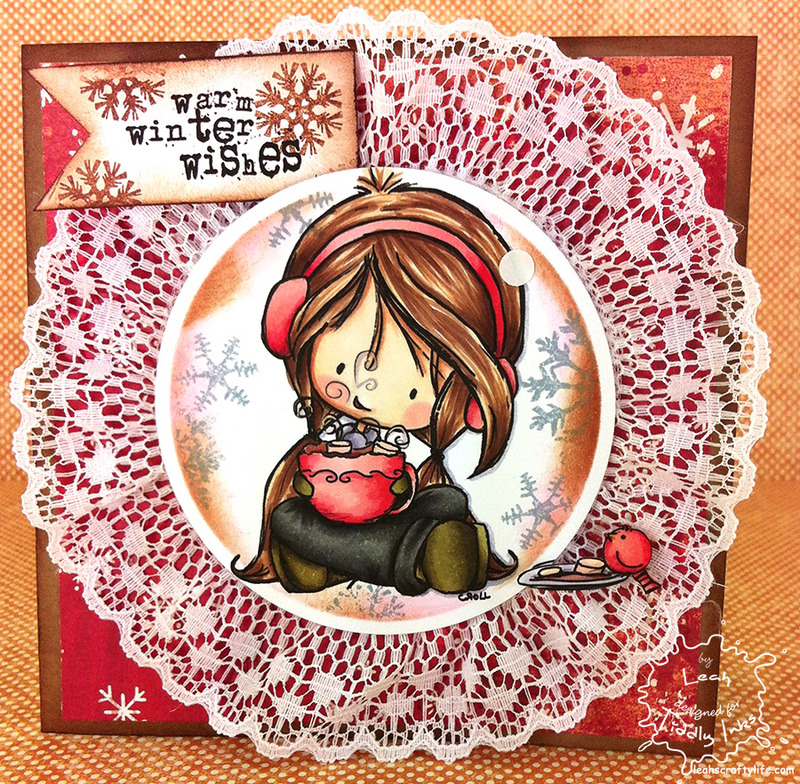 My creation today uses Presents Wrapped from Funky Hand and Winter Wryn from Tiddly Inks! 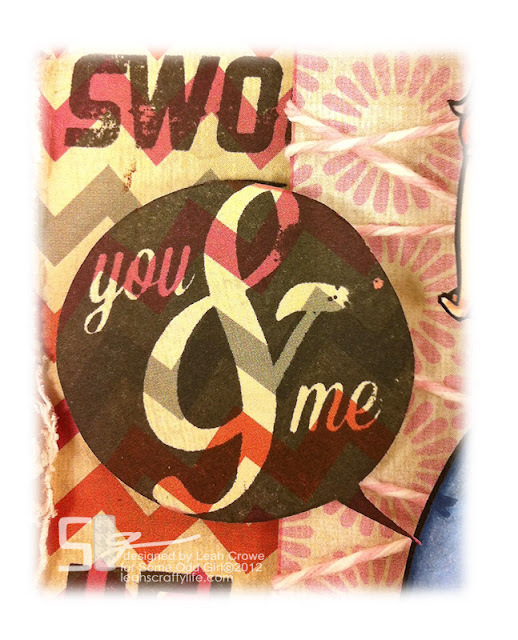 Don'tcha think both companies mesh beautifully? Don't forget to keep hopping my friends.. next up is the fabulous Ruth! Comment along the way to win some awesome swag!! 35 Clicked here to comment! Tiddly Inks New challenge #99! Oh what fun a new challenge brings!! 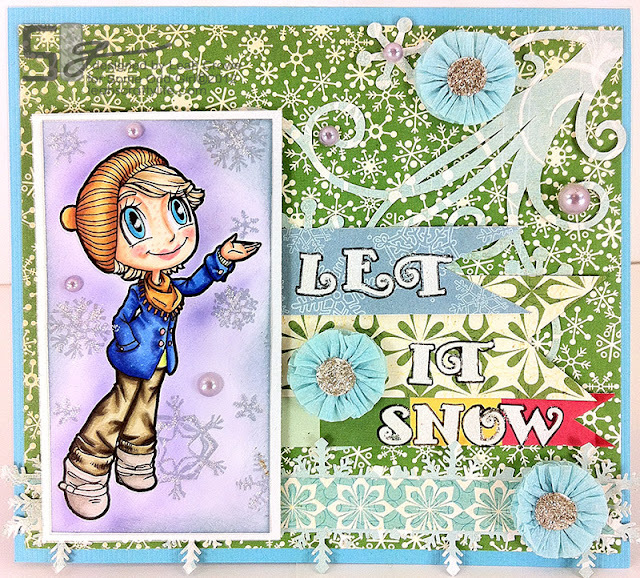 So many gorgeous creations up on the Tiddly Inks Challenge blog! This weeks challenge is to make it like Marlene! I can't get over how cute she is holding that cocoa with her ear muffs. Do you see the lil bird too? Stay warm my friends and join in the Tiddly Inks challenge!! 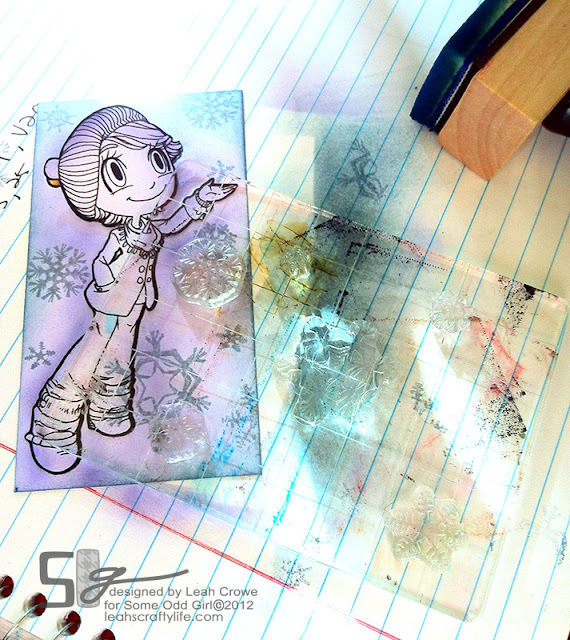 Day 2 of Some Odd Girl's clear stamp release! How did you like those amazing sentiments yesterday? Today is just as good!! 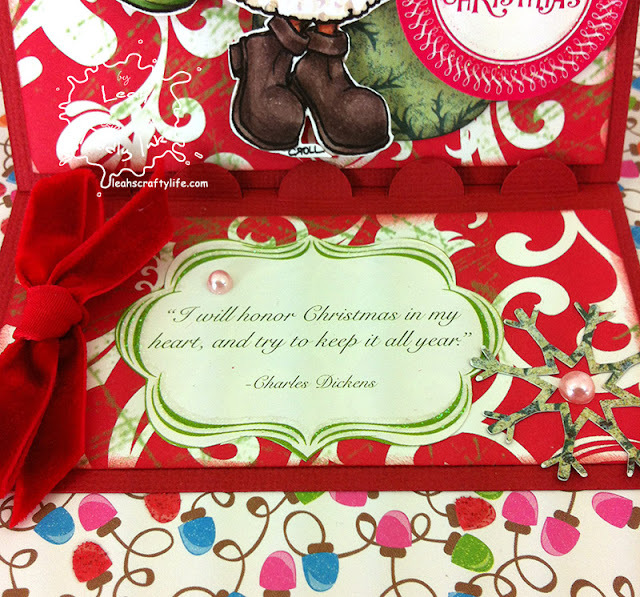 The next two cards are from Everyday Smiles. 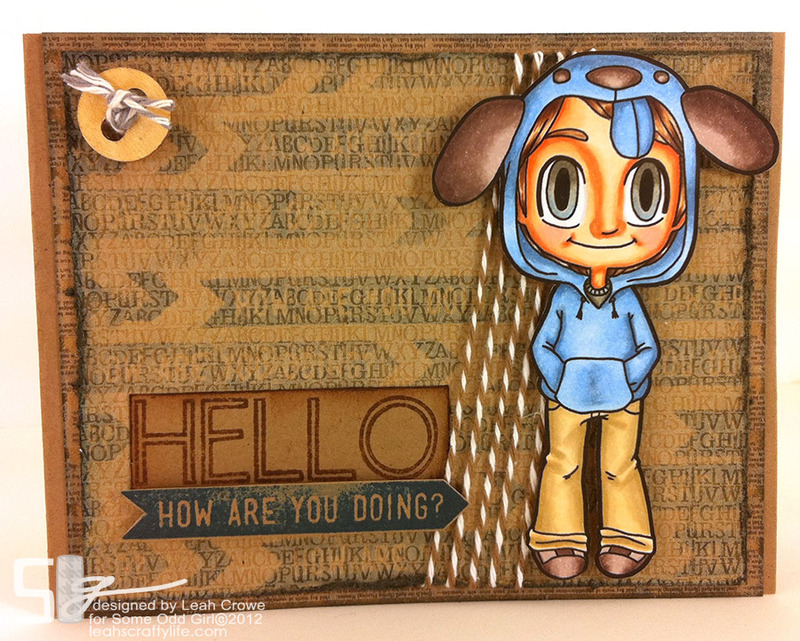 I stamped How are you doing on the background paper very lightly to create some movement on the card. 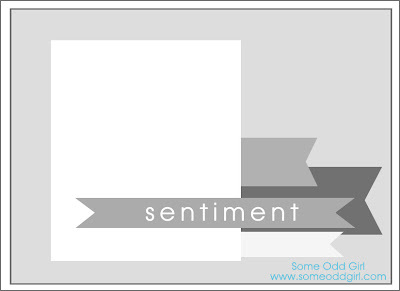 I then stamped the sentiment again, darker, to take the focus. Puppy Tobie was colored with my Copic Markers. On this next card, I took the starburst stamp and stamped in different colors around the sentiment and the paper behind Cupcake Mae. I then also stamped Celebrate on my journaling card, and pop dotted all day everyday banner. 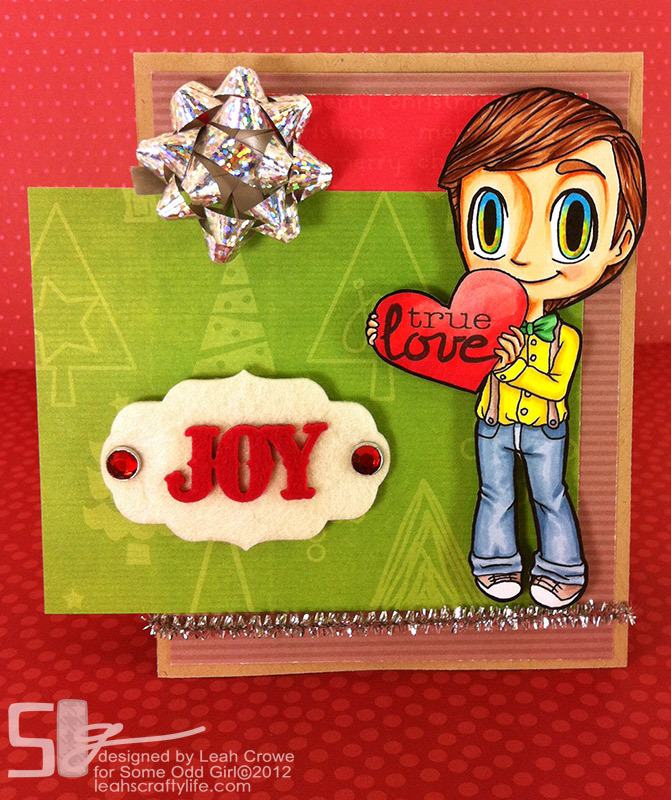 Totally quick and easy card! Go check out the other ways you can use this ultra cool sentiment set on the Odd Girl Blog! Phew.. What a fabulous Holiday weekend. I hope all my US friends who celebrated Thanksgiving had a wonderful time of being thankful with your family and friends. Ours was a whirlwind of fun. We moved our daughter Amanda back in Wednesday last week, celebrated Thanksgiving, cooked a turkey feast of our own Friday, started Christmas decorating Saturday, hope to finish it up today. The older girls went to see Breaking Dawn 2 in the theater... they came home ecstatic saying it rocked... and here I am. *grins* There seems to always be something going on. We forgot to get someone to take one with all 6 of us together. 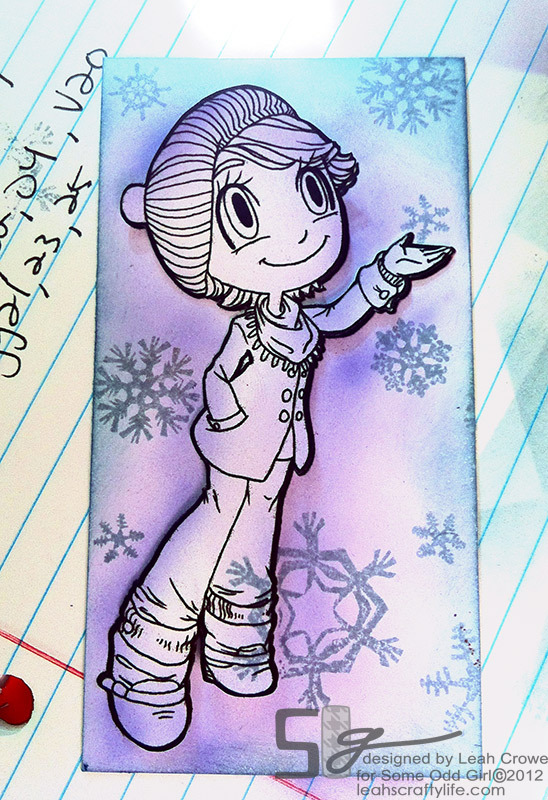 Now, on to the fun of today.. a new clear stamp release from Some Odd Girl! This time Kristy created something totally cool.. a sentiment/graphic release! It pairs so well with all your favorite Odd girl Graphics you already have on hand. 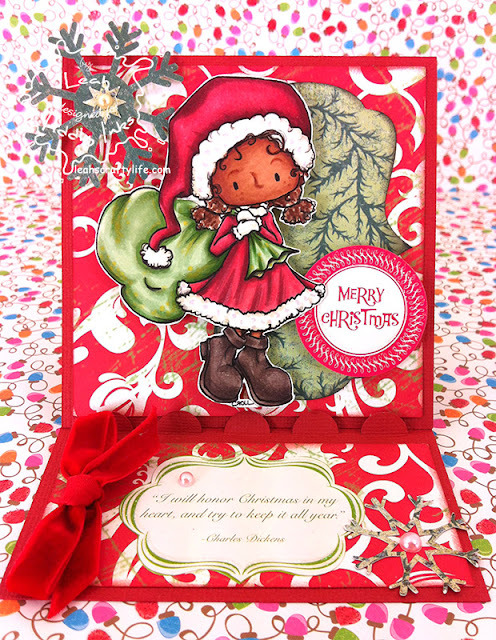 I colored Kitty Tia and used two sentiment stamps, as well as the fabulous chevron border stamp in the background. 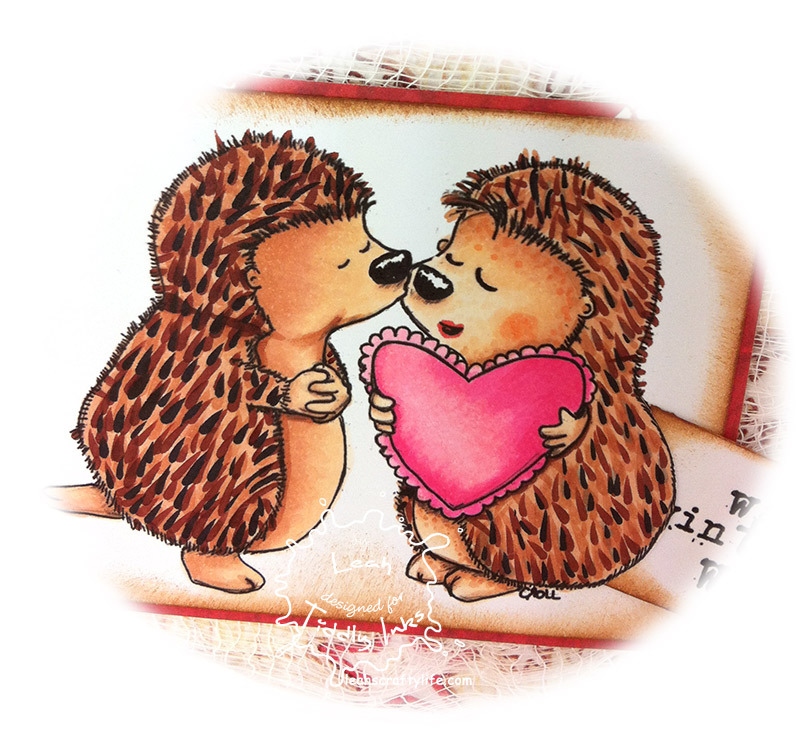 I stamped the entire stamp set on a sheet of paper, distressed the edges, then popped up the you & me sentiment on the card. Little Loves (Tia Version) is colored below. 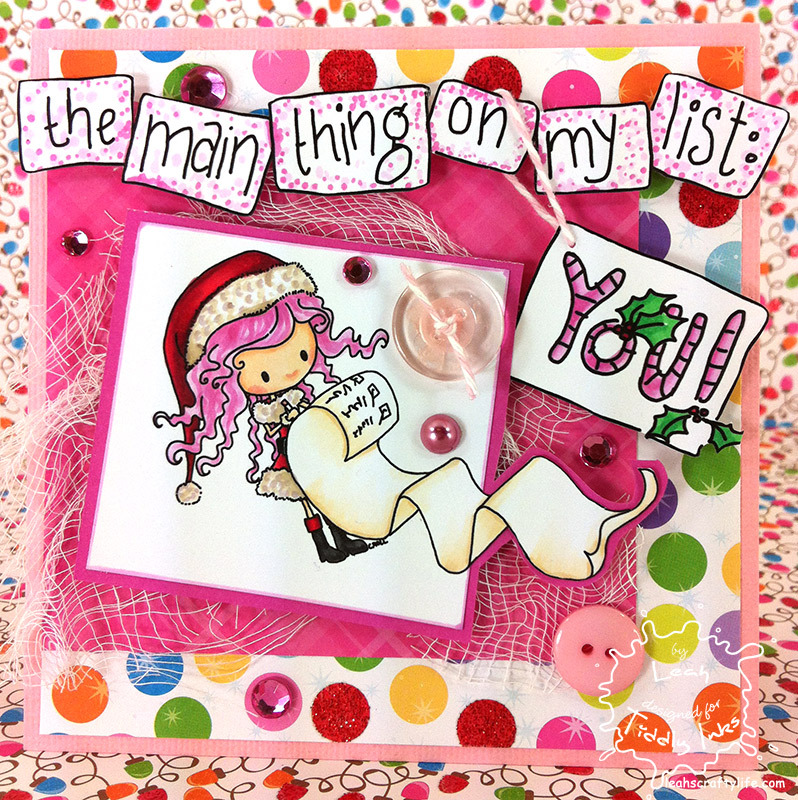 There are a ton more examples on the Odd girl blog, go check it out and find out how you can grab a set for yourself! I'm off to take Cameron to the Dr.. little guy has a cough that is worrying me a bit. A big birthday shout out to my cousins Shelly & Shannon today! !